Awaken your curiosity, reason systematically, work collaboratively, and learn continuously. 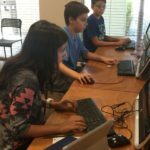 People of all ages learn best when they are actively working on projects. 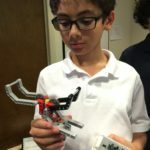 We do robotics on a project-based environment where children are challenged to generate new ideas, develop prototypes, test and make improvements, and create final products. All in a continuum of learning and never-ending fun! Remember when we inspired students everywhere when we became the first country to put a man on the moon? Neither do we because we weren't born yet. But we know that our prowess in STEM has waned since then. We are ranked 52nd in the quality of mathematics and science education by the World Economic Forum. That's because kids don't think STEM is fun. Let us change that perception! Art and science blend together in our Science, Technology, Engineering and Math classes in South Florida. 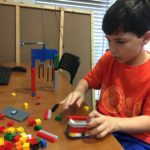 Kahoolal’s after school enrichment classes include standards-based, hands-on activities and projects that reinforce STEM talents. 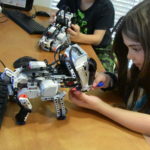 Students are introduced to the exciting field of building, coding, and operating robots, in an environment that helps them develop the skills and knowledge necessary to excel in the 21st century. We teach kids to think hard to solve problems and then test their ideas – using science as a tool. Their solutions – the product of their imagination, a reflection of their skills and a form of expression of who they are now – are true works of art facilitated by technology. 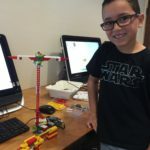 In this safe environment – using tools they already know and love – kids learn without pressure, their creativity is expressed without limits and their mind is challenged to its max. Please let me know what will be available for the summer for our son once you know. He really loves going to Kahoolal and he looks forward every week to attend your class. I loved when we made the puppy robot and the different emotions of the puppy. I like that we could make different things like games, art programs and much more! 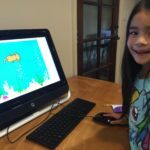 I liked making our first game! I learned a lot and enjoyed using computers to create things. I liked learning about binary code.